Fires And Floods – Weather Manipulation – Lasers In The Sky – Preparing Humanity For Agenda 21 – 30 – The Reality. I have been interested in Agenda 21 – 30 for a quiet awhile, and I have questioned how the powers that be would “cull the herd.” In other words how would they remove humanity from their desired “off limits to humans” land areas? In fact, I live in an area, according to a map, is now a biosphere. How will they remove me? How will they put us in “stack cities?” How will they remove us from these homes and areas of land set aside as strictly for animals and plants? The original plan for Agenda 21- now 30 was written by Professor Weishaupt when he founded in 1776 the Order of the Illuminati; actually a fascist Nazi organization, which employs as their frontmen, government leaders, being their visible acting puppet. Most of our ‘elected leaders sold their soul to the satanic bosses to keep them hidden from the public. Those leaders that commit treason or resign are disciplinary penalized by premature death. What are some of the actions that those, who are Agenda 21 – 30, are committed to? In this context, Wood argues that the major significance of the transfer of the Internet Corporation for Assigned Names and Numbers (ICANN) is not the immediate need by the U.N. or some countries to censor websites, but to generate revenue for global purposes. ICANN will do this, he argues, through management of the so-called Internet of Things (IoT), the links between the Internet and networks, electronic devices and embedded technology with IP addresses. “IoT are the connections between inanimate objects and the humans that depend upon them,” he notes. To accomplish this, ICANN has devised a new IP numbering system called IPV6, described as the “vital expansion” of the Internet. And there are more, but the above are a few. It is a very real fact that weather manipulation and chemtrails are legitimate in this day and age. They are a tool for Agenda 21 – 30, and at this time in 2017, they are being used in full force. Unfortunately today too many people are too complacent and ignorant to the many warnings that are visible all around them. They still think that authorities are taking care of them, so, above view would be impossible and consequently are dismissed as conspiracy. Since the massive flooding from Hurricane Harvey in Texas, most people do believe we are living in monumental times of “climate change or global warming being caused by the carbon footprints of humans.” Yes, these are monumental times, but it is not because of “human carbon footprints.” It is because the global elite have given rise to the “beast system.” And they now have forms of control over the masses never seen before. What do I mean when I say the “beast system?” I ask you to consider what Lucifer/Satan did to God, the Father/Creator? He was God’s creation; instead of loving and supporting God, Lucifer began to compete with God for control over God’s creation. He thought he could do better, and he became the opposite of God. He became the “beast” of darkness and evil manipulation. Jesus Christ was sent here as the “son of God” to show human beings the truth and the light. Basically to unlock the prison gates of earth to allow humans, who chose to trust and accept Christ, to escape this “beast” system. Those, who belong to the beast system have chosen Lucifer over God, and they are Luciferians or Satanists. They seek to dominate and steal the power of other human beings, and they use innocent children in ways that define the most powerful tool of Lucifer. To destroy the soul of an innocent child is the worst evil man can do. It is an act, which has spread like an epidemic, although it has always been performed by those practicing Satanism. The bottom line is those who practice Satanism seek control over earth and her children. We must fight back. 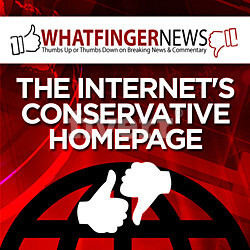 Just how high up does Agenda 21-30 go? The Pope gave his of approval for Agenda 2030. He is probably the most politically powerful religious leader on the entire planet, and so his endorsement is huge, because hundreds of millions of people follow him. However, the Pope has allowed the beast system to climb the Vatican walls! The 2030 Agenda is a tool that the elite plan to use to push us toward a one-world system, to be implemented not later than by the year 2030. The UN says that this new Agenda is “voluntary”, and yet virtually every single-puppet-nation on the entire planet is willingly signing up for it. In the official document that all of these nations are agreeing to, there are 17 sustainable development goals and 169 very specific sustainable development targets. The program is being shrouded in deceit; who wouldn’t want to end global poverty? But look deeper into what the UN is trying to do; hopefully you will be able to see through the smoke and shadows. Remember we were warned by God of the “great deception.” Discern carefully, for now is the time. “As metropolitan regions continued to expand throughout the second half of the 20th century their boundaries began to blur, creating a new scale of geography now known as the megaregion. Interlocking economic systems, shared natural resources and ecosystems, and common transportation systems link these population centers together. As continued population growth and low density settlement patterns place increasing pressure on these systems, there is greater impetus to coordinate policy at this expanded scale. Most of the nation’s rapid population growth, and an even larger share of its economic expansion, is expected to occur in 11 megaregions: large networks of metropolitan regions, each megaregion covering thousands of square miles and located in every part of the country. Let’s talk about the latest wildfires in California and what some saw in the sky: lasers striking the land. climateviewer.com/2014/03/26/cloud-ionization-electric-rainmaking-laser-guided-weather-modification/, you will no longer doubt the legitimacy of weather manipulation. 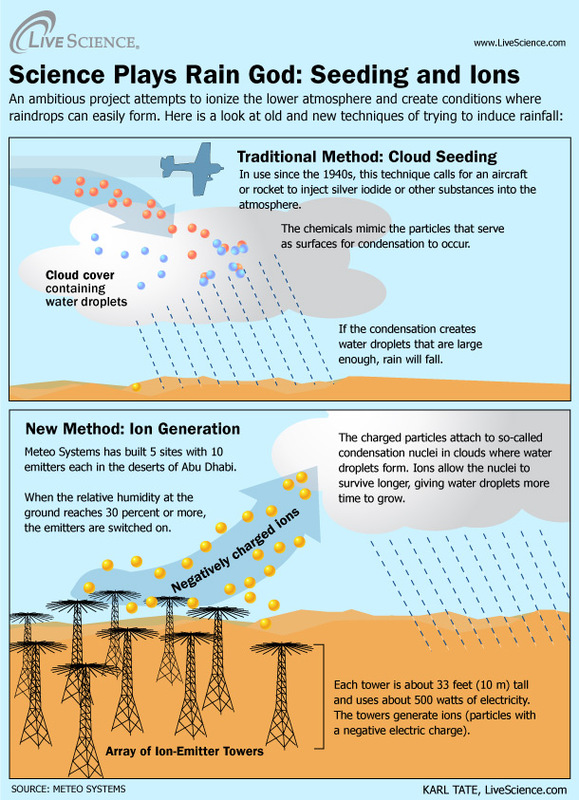 Cloud seeding via ionization technology is highly controversial. When Meteo Systems deployed their WeatherTec system in Abu Dhabi and claimed to make it rain 50 times in the desert, this statement caught the ear of the World Meteorological Organization’s Expert Team on Weather Modification, who convened a meeting March 22-24, 2010. Their conclusion: don’t believe the hype. Yeah, right, one had better wake up and understand reality. “Meteo Systems International AG (“Meteo”) is a privately owned Swiss-based technology company incorporated in Zug, Switzerland. Meteo is focused on providing a rain enhancement service to increase the supply of fresh water in arid regions of the world. Meteo’s main shareholder is Sindicatum Sustainable Resources, a developer, owner and operator of clean energy projects worldwide and producer of sustainable resources from natural products and waste. Meteo was founded in 2004 and since then has acquired, further developed and tested technologies that meteorological scientists have been studying for many years to enhance natural precipitation. Various trials have been carried out in Switzerland, Australia and most recently in Abu Dhabi. So as you can see the ability to control the weather does exist, as does the reality of Agenda 21 – 30. Prepare yourselves, as we fight the “beast system.” Pray for discernment, as the root goal is depopulation of this planet. The elite want our resources to themselves, as they make their plans for “sustainable development.” Don’t be fooled by the words they use, as I hope I have provided enough information in this report that you will be able to read between the lines.